This lecture was delivered on July 18, 2016, for the summer theology program in Norcia, put on by the Albertus Magnus Center for Scholastic Studies and dedicated to the Epistle to the Hebrews. The lecture discusses Holy Mass as the most perfect sacrificium laudis and the Divine Office as central to the Church's life of prayer. The text is reproduced below in full. Where is the Christian liturgy in the Epistle to the Hebrews, or, to put the question more sharply, where is the Holy Sacrifice of the Mass? We can find manifest evidence of liturgical worship and the Mass in other parts of the New Testament—one need only think of the transformation of the Passover narrated in the Synoptic Gospels; the singing of a hymn at the end of the Last Supper; the motif of “breaking bread” in Luke and the Acts of the Apostles; St. Paul’s statement to the Corinthians that he is handing down to them a sacred rite that he himself received, which involves discerning the Body and Blood of the Lord in the food and drink placed before us, lest we sin against the reality present; the extravagantly liturgical symbolism of the Book of Revelation, which conveys its hidden message using signs of worship familiar to the early Christians. In contrast, the Epistle to the Hebrews places so much emphasis on explaining how the unique sacrificial death of Christ the new and eternal High Priest released us from the vain repetition of the old covenant animal sacrifices that we might find ourselves wondering what room is left in the world for any kind of sacrifice, any religious cult or ritual offering or priestly office. It seems that Our Lord has simply done everything, once and for all, leaving us with the easy task of sitting back and accepting that He has done it and that we are saved by our faith in Him. This is perhaps a tempting approach for those who have not given the matter much thought. But there are obvious problems with it. First, the fact that Our Lord has made the perfect sacrifice only means that He Himself has fulfilled all the requirements for perfectly pleasing God; it does not mean (at least it need not mean) that any one of us has yet benefited from his action, such as to be made pleasing to God ourselves. To benefit from an action performed by a person independently of us, this action somehow has to become our action; it has to be made our own in some meaningful sense, if we wish to obtain its fruits. Christ’s God-pleasingness has to become our God-pleasingness. Second, Jesus has already finished the course of His life, He has done what God sent Him into the world to accomplish, and has returned in glory to the Father (or rather, has exalted His human nature to the fullest participation of that divine glory from which, as Son, He had never departed). We who are alive right now, however, are still running our course. We have not finished the race, and we are still far from the fatherland. We ourselves owe something to God who made us and who calls us to redemption: we owe Him our thoughts, our volitions, our good actions, our life, our very being; we owe him our faith, our prayer, our worship—in short, the sacrifice of our own hearts. To be a Christian in deed and not in name alone, we have to do what Christ did—we must die on the Cross with him. The good news is not that we have nothing to do, but that Christ has already done the work perfectly and has given us a clear and attainable way to make His work our own. If we might dare to summarize the life of the Christian, it is the putting on of Christ. It is the living of Christ’s life by the gift of His grace (which, coming to us through His divinized soul, conforms us to His sonship), and the exercising of Christ’s virtues, with charity and religion at the head of them. The virtue of charity is familiar to all and frequently commented on, but nowadays one seldom hears much discussion of the virtue of religion. Yet St. Thomas Aquinas dedicates to this virtue and its attendant interior and exterior acts a surprisingly lengthy treatise in the Secunda Secundae of the Summa theologiae, spanning an impressive 71 articles. Perhaps it is surprising only to modern Christians, who think that when we have said “faith, hope, and charity,” we have covered everything there is to be covered. What we forget is that man, as a creature, as a rational animal, has innate obligations to worship God in a manner dictated by Him and pleasing to Him; that this is a form of justice, whereby we strive to give to God what is due to Him, to the best of our ability; and that we finite and fallen children of Adam are, in a way, set up for failure unless we can attach ourselves to Christ’s exercise of the virtue of religion, which is not only perfect in every way, but overflowingly superabundant, far in excess of what any creature can give. The reason is that he is no mere creature, but a man who is God, a man whose being or esse is the being of God. One might say that Jesus Christ has fulfilled, once and for all, any and every demand of the virtue of religion, such that the entire universe of intellectual creatures can feast forever off of this surplus of virtue. “Partakers of the divine nature”: this means, among other things, that we are raised up to sit with Christ in the heavenly places, equipped to act as the God-man acts, ready and eager to join in with the perfect worship of the heavenly Jerusalem, the perpetual intercession of the wounded Lamb, the neverending praise of the Church Triumphant. Where do we find these wonderful truths in the Epistle to the Hebrews itself? Put differently, how does Hebrews address the exercise of the virtue of religion and the specifically Eucharistic modality in which it is to be exercised? The place to look is chapter 13, which has a rich teaching on the sacrificial dimension of the Christian life and how it relates to the work of Christ the Savior. Let us go through Hebrews 13:9–16 carefully. First, I will read the whole passage (using the Douay-Rheims translation), and then I will walk through it in segments. 9 For it is best that the heart be established with grace, not with meats; which have not profited those that walk in them. 10 We have an altar, whereof they have no power to eat who serve the tabernacle. 11 For the bodies of those beasts, whose blood is brought into the holies by the high priest for sin, are burned without the camp. 12 Wherefore Jesus also, that he might sanctify the people by his own blood, suffered without the gate. 14 For we have not here a lasting city, but we seek one that is to come. 15 By him, therefore, let us offer the sacrifice of praise always to God, that is to say, the fruit of lips confessing to his name. 16 And do not forget to do good, and to impart; for by such sacrifices God’s favour is obtained. Take the first four verses. P. C. Yorke explains: “Priest, victim and altar go together, and therefore when St. Paul says that the early Christian had an altar, he implies that they had also a victim and a priest.” The text uses the present tense: we have an altar from which we have the power to eat (or the ‘right’ to eat, as the RSV translates it), in contrast to those who follow the now-superseded Mosaic sacrificial law and put their trust in its animal offerings. Those who partake of the new altar are establishing their hearts in grace, not looking for help in the charred remains characteristic of the old altar. (The New International Version has a nice way of bringing out the meaning of verse 9: “It is good for our hearts to be strengthened by grace, not by eating ceremonial foods, which is of no benefit to those who do so.”) But so far from abolishing sacrifice, the letter goes out of its way to state that Jesus imitates the animal sacrifices by suffering outside the gate, as the bodies of the animals are burned outside the camp. Moreover, even as the high priest brings the animals’ blood into the holies (or the sanctuary), with a hope of the remission of sins, so Jesus, both high priest and victim, sanctifies the people by His own blood, achieving the full remission of sins. The text speaks in the subjunctive: that Jesus might sanctify the people, implying that their sanctification is still in progress: it is still to be accomplished in those who, having access to the altar, eat of its victim. 13 Let us go forth [now] therefore to him / without [i.e., outside] the camp [that is, to Calvary], bearing his reproach [i.e., participating in His self-emptying]. Jesus is presented here as the one who is the mediator of a new covenant—His mediation has not ended and will never end. The new covenant in His blood is not a past act but a permanent state or condition of the redeemed soul: His “sprinkled blood” (evoking the ritual action of the old covenant, by which the people had to be marked with the sacrificial blood in order to benefit from the offering, as if its blood became theirs) speaks more graciously than Abel’s. It speaks right now, and forever. Whatever this mysterious “speech” of the Blood of Christ may be, it is an ongoing act of speaking, one that covers us, heals us, elevates us, and divinizes us. It is the life-giving word of the living Word, poured out from His Heart. In the dense language of this epistle, we are being told that Christian worship is a way of entering, even now, into the everlasting city, a festal gathering of angels and of the congregation of first-born sons, so that the power of the Blood of the Lamb may continually be communicated to us, and we in turn may commune with it. As much as to say: Because all of these things are true, let us now offer up, by (or ‘through’) Christ, the sacrificium laudis, the sacrifice of praise, to God. Christ Himself is already offering this sacrificium laudis and we get to participate in it. Moreover, we are to do this always (the RSV has ‘continually’): it is an activity for the whole of our lives, not a one-time action. Notice, too, how St. Paul glosses sacrificium laudis as “the fruit of lips confessing to his name.” The sacrifice is not equated with verbal confession, but is said to be the fruit of a bodily action of confessing or acknowledging God’s name. This could be saying to us that there must first be an interior act of faith and, second, an external expression of that faith, before it is possible to offer, in truth, a sacrifice of praise. That would make the “sacrifice of praise” something more than a mere verbal offering. Before continuing with my exegesis of Hebrews 13:15, I would like to draw attention to a number of verses from the Old Testament that use the expression sacrificium laudis or something quite similar. “Offer to God the sacrifice of praise: and pay thy vows to the most High” (Ps 49:14). “The sacrifice of praise shall glorify me: and there is the way by which I will shew him the salvation of God” (Ps 49:23). “And let them sacrifice the sacrifice of praise: and declare his works with joy” (Ps 106:22). “I will sacrifice to thee the sacrifice of praise, and I will call upon the name of the Lord” (Ps 115:8). “And offer a sacrifice of praise with leaven: and call free offerings, and proclaim it: for so you would do, O children of Israel, saith the Lord God” (Amos 4:5). “But I with the voice of praise will sacrifice to thee: I will pay whatsoever I have vowed for my salvation to the Lord” (Jonah 2:10). “And thou hast taken pity upon two only children. Make them, O Lord, bless thee more fully: and to offer up to thee a sacrifice of thy praise, and of their health, that all nations may know, that thou alone art God in all the earth” (Tob 8:19). What strikes me about such Old Testament verses is how frequently and thoroughly their language is present in the historic Christian liturgies, intimately incorporated into their fabric. Here are three of many examples: the short responsory at Vespers for the Common of Confessor Bishops (“R. The Lord chose him * For a priest unto Himself. The Lord chose. V. To offer unto Him the sacrifice of praise. For a priest. Glory be to the Father. The Lord chose.”); the Secret of the Mass Os justi (“In memory of Thy Saints, O Lord, we offer to Thee the sacrifice of praise, by which we trust to be freed from both present and future evils”); the Offertory of the Mass for the Dead (“We offer to Thee, O Lord, sacrifices and prayers of praise: do Thou receive them on behalf of those souls of whom we make memorial this day. O Lord, make them pass over from death to life, as you promised to Abraham and his seed”). Memento, Domine, famulorum famularumque tuarum N. et N., et omnium circumstantium, quorum tibi fides cognita est et nota devotio: pro quibus tibi offerimus, vel qui tibi oferunt hoc sacrificium laudis, pro se suisque omnibus: pro redemptione animarum suarum, pro spe salutis et incolumitatis suae: tibique reddunt vota sua aeterno Deo, vivo et vero. Remember, O Lord, Thy servants and handmaids, N. and N., and all here present, whose faith and devotion are known to Thee; for whom we offer, or who offer up to Thee, this sacrifice of praise for themselves and all who are theirs, for the redemption of their souls, for the hope of their salvation and safety, and who pay their vows to Thee, the eternal God, living and true. We know that for a sacrament to take place, there must be a correct intention (internal element) and the correct matter and form (external element). Like many other missal prayers to which one could look, the Memento expresses this duality by mentioning “faith,” which is the root internal virtue, and “devotion” which is one of the interior acts of religion, by which man subjects himself wholly to God; as Aquinas puts it, devotion is “the will to give oneself readily to things concerning the service of God.” God alone sees this faith and devotion. 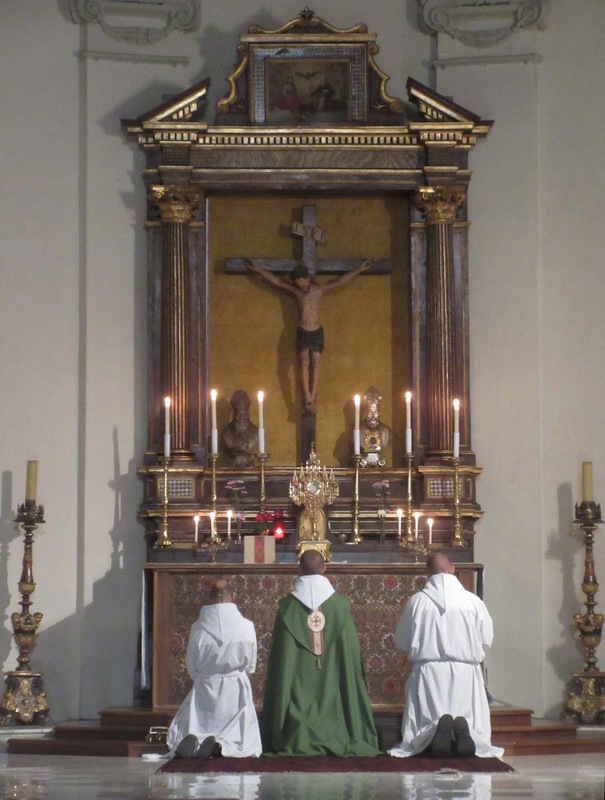 Then there is the exterrnal act, visible to all, consisting of the offering of bread and wine, determined to their sacrificial finality both by the words of consecration subsequent to the Memento, and by the proleptic oblation of the Offertory rite. The priest and the faithful offer to the Lord the sacrifice of praise now prepared on the altar (hoc sacrificium laudis). The Mass is the infinitely perfect sacrifice of praise and adoration, which we offer to the glory of the Most High. When the wise man exhorts us: “Glorify the Lord as much as ever you can, for He will yet far exceed, and His magnificence is wonderful. Blessing the Lord, exalt Him as much as you can; for He is above all praise” (Ecclus. 43:32–33), we may boldly and cheerfully answer: Here on the altar there is offered to God a praise worthy of His greatness, because it is infinite and divine, since it is the sacrifice of His only-begotten Son. When the Lord laid “the foundations of the earth . . . the morning stars praised [Him] together, and all the sons of God [the angels] made a joyful melody” (Job 38:4, 7); but the chant of praise of the heavenly hosts is not to be compared with the adoration, homage, and glorification that ascend from the altar to heaven. By the Eucharistic sacrifice of praise the name of the Lord is magnified “from the rising of the sun unto the going down of the same” (Ps 112:3). We can summarize by saying that the sacrificium laudis does involve verbal praise, since a rational sacrifice always includes the word. But in Romans 12:1, we are told that our “rational worship” (or “reasonable service” in the Douay Rheims) is “to present our bodies [as] a living sacrifice, holy, pleasing unto God,” and Hebrews 12:24 tells us that the blood of Jesus speaks. The offering of the body and blood is the offering of the Logos. Jesus became our mediator by taking on flesh and blood; we therefore must take on His flesh and blood to enter with Him into heaven: “Having therefore, brethren, a confidence in the entering into the holies by the blood of Christ—a new and living way which he hath dedicated for us through the veil, that is to say, his flesh” (Heb 10:19–20). The text compels us to ask, quite literally, “How on earth in that supposed to work?” The answer is given above all in John 6 and 1 Corinthians 11:23–29, which are immensely suggestive in light of Hebrews 10, 12, and 13. In His love for us, Our Lord, having opened the way to heaven through the curtain of His flesh and the price of His blood, imparts them to us in the sacrificial banquet of Holy Communion. To summarize, Hebrews 13:10–16 furnishes a portrait of Christian worship. This portrait, like much of the letter, is somewhat veiled: one needs to read between the lines and connect the dots. Christians have an altar from which they eat the one pure, unblemished, all-holy, and all-sufficient sacrifice, in a festal gathering of angels and first-born sons. We consume the Lamb whose blood sanctifies the people; in this way, we participate in His passion and death, as a foretaste and pledge of immortal life in the city of the heavenly Jerusalem. Our worship is a sacrifice of praise, a work of both Christ and His Church, that sustains us throughout this life of pilgrimage. Like the Incarnate Word and the Church He established, this worship has both an internal, invisible dimension and an external, visible dimension; it is neither an exercise of personal faith alone nor a mere succession of bodily acts performed according to rules, but an exercise of ecclesial faith, verbally expressed, and carried out according to a definite pattern instituted by Christ. This sacrifice of praise models, elicits, and sustains a life of sacrificial love. It is important to add a caveat or postscript at this point. Prompted by the very text of Hebrews, we have been focusing on the Mass, the Eucharistic sacrifice of praise, but we must not forget that the early Christians themselves continued the Jewish practice of praying at set times throughout the day, as the Acts of the Apostles shows us and as records of the apostolic and patristic ages confirm. These regular prayer times, drawing heavily upon the Psalms, were the acorn out of which grew the immense oak tree of the Divine Office, practiced by churches in the cities of the Empire, by the monks in the desert, and finally by the monastic communities that codified the daily and weekly cursus. It is not only the Mass that continues the sacrifice of Christ; the Divine Office, the psalmody of the Church, does so as well. Celebrated with faith, devotion, and the involvement of bodily signs of reverence, the Divine Office, too, is a sacrificium laudis that bears the fruit of God’s glorification and man’s sanctification. In seamless continuity with the Eucharistic oblation, the solemn psalmody of the Church is an ecclesial participation in the self-offering of Our Lord, an exercise of His eternal high priesthood, a true oblation of rational worship, a pleasing offering to the Most Holy Trinity. By it we are sanctified, transformed into Christ, and conformed to the pattern of the ideal Israel caught up in the heavenly liturgy. 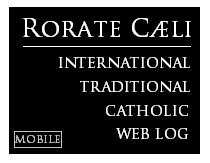 Especially in our times, when the Divine Office has suffered severe textual, ceremonial, and musical impoverishment and has all but disappeared from the lives of so many Catholics, it is crucial to recall, with the Second Vatican Council, that the public liturgy of the Church is made up of far more than the Mass, and that we will tend to overburden the Mass, scramble its content, diminish its peculiar efficacy, and dilute its symbolic expression of the sacrifice of Calvary if we try to make it the sole, all-inclusive, all-sustaining public act of worship that meets every need (real or imagined) of the Christian faithful. Indeed, because the Divine Office is, in a way, more purely an act of loving homage to Almighty God from which we do not stand to “get” anything obvious—there is, in other words, no washing or anointing or absolution or food and drink or other “result” that comes to us, as with the sacraments—it is particularly efficacious in weaning us from subtle or callous forms of pragmatism, activism, and utilitarianism that are so characteristic of our age, typified by the questions “What’s in it for me?” and “What good will it do?” When we turn to God again and again, day after day, in the childlike simplicity of a prayer that is of the Word and for the Word, putting His prayers on our lips and making them our own so that we can enter more and more into His inner life, we grow “in wisdom and stature, and in favor with God and man” (cf. Luke 2:52). The virtue of religion is mightily strengthened by this continual offering of praises, thanksgivings, and supplications, for we are, so to speak, burning up our time in a cloud of verbal incense that has no justification for its existence apart from God’s worthiness of our attention and our own ineluctable thirst for His life. The Divine Office, therefore, most perfectly captures the for-itselfness of the sacrificium laudis offered by the Church, even as the Holy Mass, being the sacrifice of Christ’s very body and blood most perfectly realizes the nature and goal of praise. 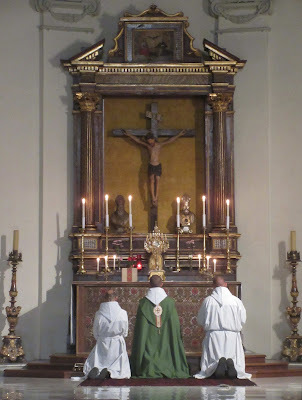 In this way, the two liturgies require one another for their mutual upbuilding, for the preparation of souls in the art of worship and the extension of the Eucharistic mind of Christ into the whole of life. This unity of sacrifice and praise, to which the Church on earth aspires, is the very life of the heavenly city depicted in Hebrews and in the Apocalypse. We see the assembly of the saints offering up prayers and praises before the throne of the Lamb, slain and risen: we see the exemplary worship that is echoed here below in the eightfold psalmody of the Divine Office and made present under a veil in the mystery of the Eucharist. But eye has not seen, nor ear heard, nor the heart of man conceived, what these symbols point to and yet cannot disclose to us pilgrims: the fathomless peace, ineffable joy, and unbounded love awaiting us in the face-to-face vision of God Himself, who is above all praise. Question 81 (8 articles) deals with the virtue of religion itself; questions 82–83 deal with interior acts of religion (devotion, 4 articles; prayer, 17 [!] articles); questions 84–91 with exterior acts of religion (adoration, 3 articles; sacrifice, 4 articles; oblations and first-fruits, 4 articles; tithes, 4 articles; vows, 12 articles; oaths, 10 articles; taking God’s name by adjuration, 3 articles; invoking God’s name with praise, 2 articles). This is a total of 71 articles given over to the virtue of religion. See Summa theologiae, III, q. 17; cf. J. L. A. West, “Aquinas on the Metaphysics of Esse in Christ,” The Thomist 66 (2002): 231–50. See St. Thomas’s commentary on Galatians 2:20. See Eph 2:6; cf. 1:3, 1:20. P. C. Yorke, Altar and Priest (San Francisco: The Text Book Publishing Co., 1913), 233. It would be more accurate to say that the animal sacrifices were set up as they were so that later, in the fullness of time, Christ could follow them in certain respects, for our instruction. If this is a correct reading, it would parallel Aquinas’s treatment of the interior and exterior acts of religion. From this passage is derived the Introit for the Nuptial Mass. R. Elegit eum Dominus * Sacerdotem sibi. Elegit. V. Ad sacrificandum ei hostiam laudis. Sacerdotem. Gloria Patri. Elegit. Laudis tibi, Domine, hostias immolamus in tuorum commemoratione sanctorum: quibus nos et praesentibus exui malis confidimus et futuris. Hostias et preces tibi, Domine, laudis offerimus: tu suscipe pro animabus illis, quarum hodie memoriam facimus: fac eas, Domine, de morte transire ad vitam. Quam olim Abrahae promisisti et semini ejus. As other commentators have also argued, such as Shane Kapler in The Epistle to the Hebrews and the Seven Core Beliefs of Catholics (Kettering, OH: Angelico Press, 2016), 101–17. Curiously, St. Thomas Aquinas in his commentary on Hebrews takes this verse and the surrounding context to refer to sanctifying grace, the Cross, or Christ Himself, but does not make much of a connection with the Eucharistic liturgy. See Commentary on the Letter of Saint Paul to the Hebrews, trans. F. R. Larcher, O.P., ed. J. Mortensen and E. Alarcón (Lander, WY: The Aquinas Institute for the Study of Sacred Doctrine, 2012), ch. 13, lec. 2, nn. 740–54. In n. 744, he does insinuate a liturgical connection by referencing 1 Cor 11:29. Note how closely this language tracks Ps 49:14 and Jonah 2:10, quoted above. See Summa theologiae II-II, q. 82, a. 1. Nicholas Gihr, The Holy Sacrifice of the Mass, Dogmatically, Liturgically, and Ascetically Explained (St. Louis: Herder, 1949), 644–45. Hebrews intends for us to see a marvelous parallel between Mount Sinai and Mount Sion. On the top of Sinai speaks the voice of God; on the top of Sion speaks the voice of the Blood. The mention of illumination and “tasting the heavenly gift” at Hebrews 6:4 is indeed highly suggestive, difficult to sideline as a metaphor, given the known practice of the early Church of admitting the baptized (who were said to be “illuminated”) to the banquet of the Eucharist—a practice that has continued without interruption in the Eastern Christian churches. For an excellent treatment of Hebrews 13 in the context of the Biblical and Patristic teaching on the Eucharist, see Kapler, Epistle to the Hebrews, 101–17. The Jews divided the daylight portion of the day into twelve “hours” (cf. Jn 11:9). There were three special hours for prayer: the third, the sixth, and the ninth (cf. Ps 54:18 [55:17]; Dan 6:10). At the third hour, Jesus was crucified (Mk 15:25) and the apostles received the Holy Spirit (Acts 2:15). At the sixth hour, Jesus met the Samaritan woman at the well (Jn 4:6); darkness fell over the earth on Good Friday (Lk 23:44); and Peter, going up to the top of a house to pray, had his vision of the cleansed creation (Acts 10:9). At the ninth hour, Jesus cried out, “My God, My God, why hast Thou forsaken me?” (Mt 27:46; Mk 15:34); Peter and John went up to the temple to pray (Acts 3:1); Cornelius, while praying, had his vision of an angel of God (Acts 10:3). See the Constitution on the Sacred Liturgy Sacrosanctum Concilium, §§7–13, 83–85. 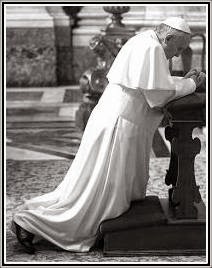 On these points, see Peter Kwasniewski, “Lingering in the Courts of the Great King: The Sanctification of Time through Prayer,” The Latin Mass, vol. 22, n. 1 (Winter/Spring 2013): 14–19. Eightfold because of the seven Hours of the daily office plus the night office.